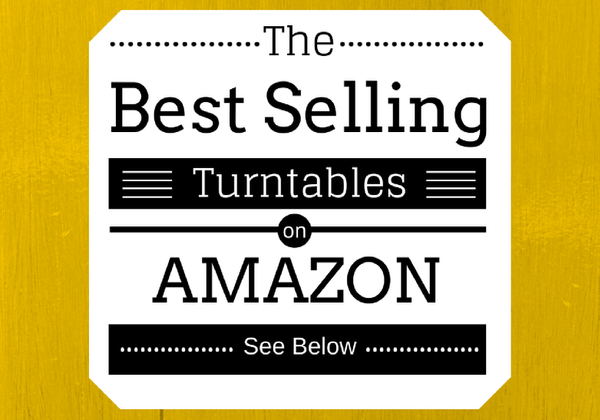 You are here: Home / Turntable Reviews / What’s the Best Suitcase Vinyl Record Player? 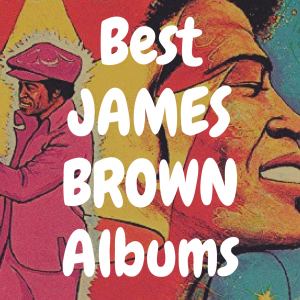 What’s the Best Suitcase Vinyl Record Player? 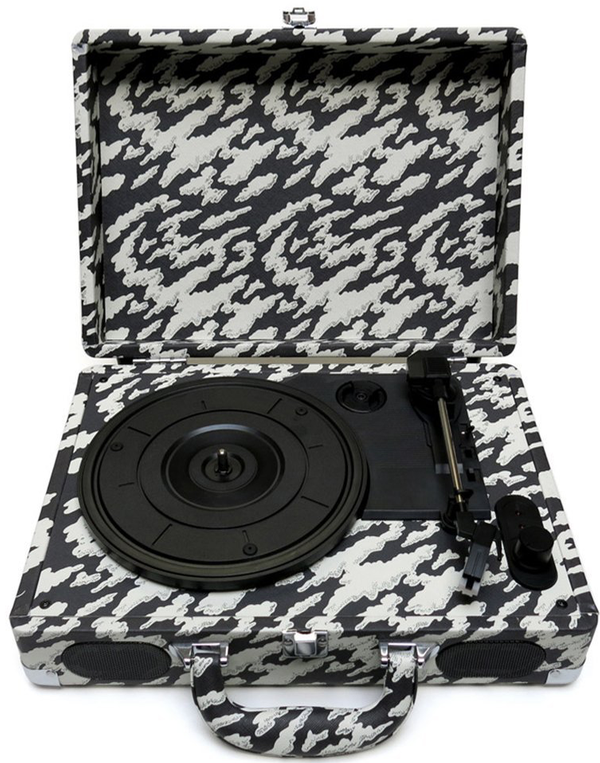 So you’ve finally decided to bite the bullet and buy a portable vinyl record player? That’s awesome, as there are a lot of suitcase record players available for you to choose. But going online can quickly become overwhelming, with a seemingly never ending stream of options. And chances are if you walk into your local hi-fi shop, they’re going to recommend you a turntable that can costs at least $400. And that price won’t include things like speakers, a proper shelf, and much more. So, factoring all of that into the equation, how do you go about finding the best suitcase vinyl record player on the market? Well, in this article, I’m going to break down everything you need to know about suitcase vinyl record players, including where to get one, how much they ones cost, and the key features about them that you should most be looking for. And in order to better help you, please use our interactive table below full of popular record players that are portable. Whether your budget doesn’t permit that kind of expense or you’re just not willing to have a plethora of boxes connected with a rat’s nest of wires in your living room, there are several high quality record players with a small footprint that still sound great and won’t break the bank. In fact, the first phonograph was invented in 1877 by Thomas Edison, but it wasn’t until the mid-fifties with the advent of the solid-state amplifier, a replacement for the bulky and fragile tubes that powered speakers until then, that more portable suitcase record players came into fashion. 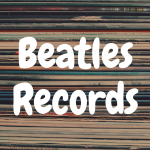 By the 1960s, prices started to fall and just as the Beatles were reaching young audiences across the pond, it was finally affordable for young music enthusiasts to own a record player. A suitcase player is simply a portable box, usually with a handle, that houses a turntable, an amplifier, and one or two speakers. It takes all of the separate components of a full stereo system and puts them all in one box. These players remain highly popular today due to two main reasons: their simplicity and their portability. Price is always a consideration when making a purchase. 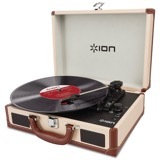 Inexpensive record players average around $69 to $99, while higher quality players can set you back $200 to $300. 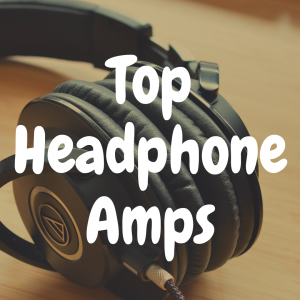 Though you won’t get the room filling, bass pounding sound that a component system offers you can still get great sound and great features no matter your budget. Record players from the 60s did just that—played records. You obviously couldn’t hook-up your iPhone, add additional speakers or burn your records to mp3. That’s mostly because none of that stuff existed yet, but the point is that it was a stand alone unit. Unlike players of the past, new record players today give you a lot of hook-up and playback options to cover all your needs. Let’s review a few of these and determine which features to look out for when choosing your record player. Aux Input – a 3.5mm (headphone) jack that allows you to plug in portable sources such as your phone or computer to the record player if you want to listen to something besides your records. USB Output – gives you the power to rip your vinyl in realtime to a computer so you can listen to your music across devices. RCA Outputs – left & right rca outputs let you hook your record player up to external speakers to get enriched, fuller sound. Rechargeable batteries – some of today’s record players let you use rechargeable batteries right from the unit for the hobbyist that’s really on the go. Headphone jack – an output that allows you to listen to your vinyl through headphones so not to disturb your roommate or wake the neighbors. 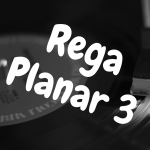 Now that we know a little history and know some of the features available let’s review five turntables and figure out which one is right for you. Normally, I wouldn’t give a brand an entire section, but Crosley is so ubiquitous in the portable record player market that they’ve earned it. 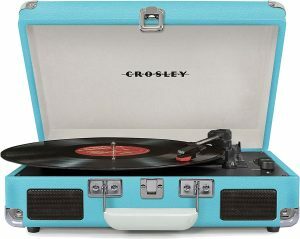 The original Crosley Radio Corporation began in 1921 and while they are not the same company they do a great job of replicating the look of those old 60s briefcase record players and are, by far, the largest manufacturer of inexpensive record players in the world. 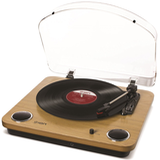 You can read our article entitled Ranking the Best Crosley Turntables on the Market right here. This can be both a positive and a negative. Due to their size they make a ton of products of every shape and size. 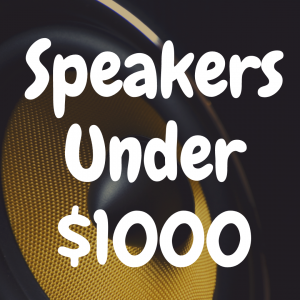 Their price ranges run the spectrum as well as their features and quality. Crosley is the clear leader in this market, so much so that even if it doesn’t say Crosley on the box there is a good chance that they have still manufactured the turntable or at least the needle. The down side to Crosley is that quality control can sometimes be an issue. Fortunately most retailers have a liberal return or exchange program so if the first one is a dud you aren’t stuck with it. Now, let’s move onto some of my recommended record players. Please note that all prices are estimates. Prices of course differ depending on where you make your purchase. The Crosley Traveler is an early and enduring but bare bones record player. It is a 3 speed record player, which means it can handle full sized 45 rpm records, 33 rpm singles and even the ancient 78 rpm records which was the standard in the 1920s and 1930s. While there are smaller and less expensive versions the Traveler is a nice compromise of price, size and sound quality. Smaller record players can sound small. There is only so much space and more space means the ability to use larger speakers and amplifiers. While the Traveler is still compact it’s large enough to give you room filling sound from it’s side firing speakers. Because of it’s inexpensive price point is a stand alone record player without some of the inputs and outputs of others on the list. Weighing in at 17 lbs. 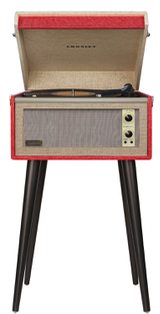 the Crosley Bermuda is by far the largest of all portable record players. You have the option of putting it on a tabletop or desk but it’s best if you use it’s four Danish style tapered legs. Though it has the familiar locking hinge top and side handles it is practically a piece of furniture. It’s mid-century inspired design is reminiscent of record players past and houses larger components giving you plenty of volume no matter what size the room. 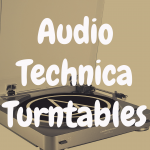 Using an upgraded needle made by Audio-Technica the Bermuda gives you clear highs and the larger driver can handle low frequencies you can’t get from any other suitcase record player. The front aux input also makes streaming music a snap, just plug in your iPhone and switch inputs. The front facing volume control lets you pump out even detailed sound at any level. If you have the space for this behemoth of a record player it is by far the fullest and loudest ones you can buy. If true portability is key the Cruiser II might be for you. While it is still supplied with an AC power adapter you can use the included 6 AA batteries meaning this record player can really go anywhere. Having a picnic in the park? Don’t settle for a bluetooth speaker streaming Tidal from your phone, bring along a sack full of records and jam out in style. I once even saw a guy listening to records on an airplane mid-flight with headphones. How hipster is that? At nearly the same price as the Traveler you also get USB and RCA outputs on the rear of the case. This gives you the ability to rip mp3s to your computer as well as connect to larger more powerful speakers. This is a great option because, though it’s smaller than the Cruiser, it’s tiny speakers mean less volume and bass compared to other options. But if you’re looking for a low cost option with all the features the Cruiser II is perfect. A Japanese record label and electronics manufacturer, Columbia Japan has been in the electronics business since 1910. They created the audio codec that Sony used to record CDs way back in the 70s which is still being used today. Though the Columbia GP3 is not technically new several companies still stock refurbished versions of this iconic player. Coveted by record collectors and crate diggers, it is a workhorse of a record player. 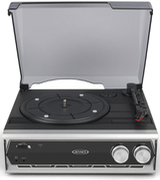 Known for it’s durability it can even play records vertically or horizontally with a supplied clamp. It has a built in speaker and mono headphone outputs and can run on AC power or batteries. If you’d love to own a piece of history the Columbia GP3 is one of the coolest, truly retro record players still on the market. Sometimes it’s not enough to sound cool, sometimes you need to look cool too. Luckily there are plenty of branded and personalized record players on the market. From Star Wars, to Peanuts and even One Direction the history of making a record player stand out like a grade school lunch box is still in full swing. Hands down, one of the coolest looking record players is The J-Dilla Turntable. J-Dilla was an iconic, though lesser known hip hop artist that inspired artists from Kanye West to Killa Mike with a laid back style, mixing and layering that everyone has copied. His masterpiece Donuts, released just before his death in 2006, is still revered today. This tribute to Dilla is based on the Crosley Cruiser but with a few notable upgrades. Famous illustrator and designer Mason London created an inspirational black and white painted case with Dilla emblazoned in the center in red and white. It also includes a 7” vinyl album with a song from Dilla produced by Madlib. While not the best sounding of the bunch the price point, styling and bonus record make this a top contender. What’s the Most Affordable Record Players with Speakers?